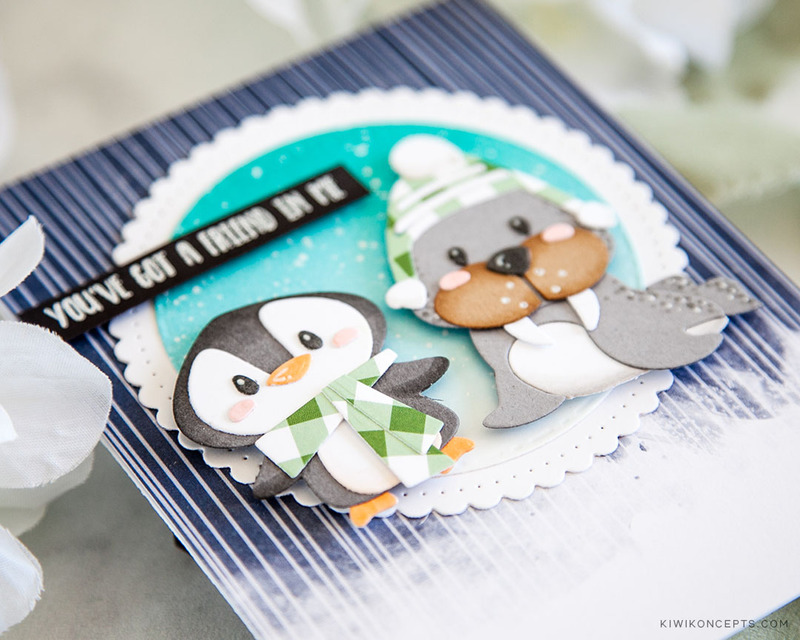 The newest release of Spellbinders Die D-Lites are so adorable! 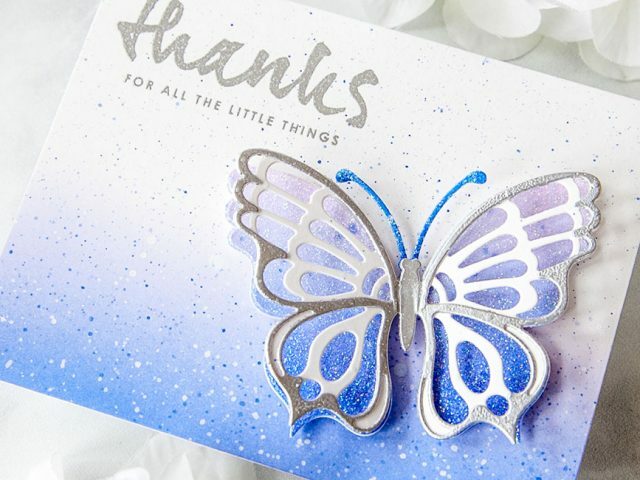 If you haven’t seen them and love making cute critters out of die cuts, then you definitely want to check them out. 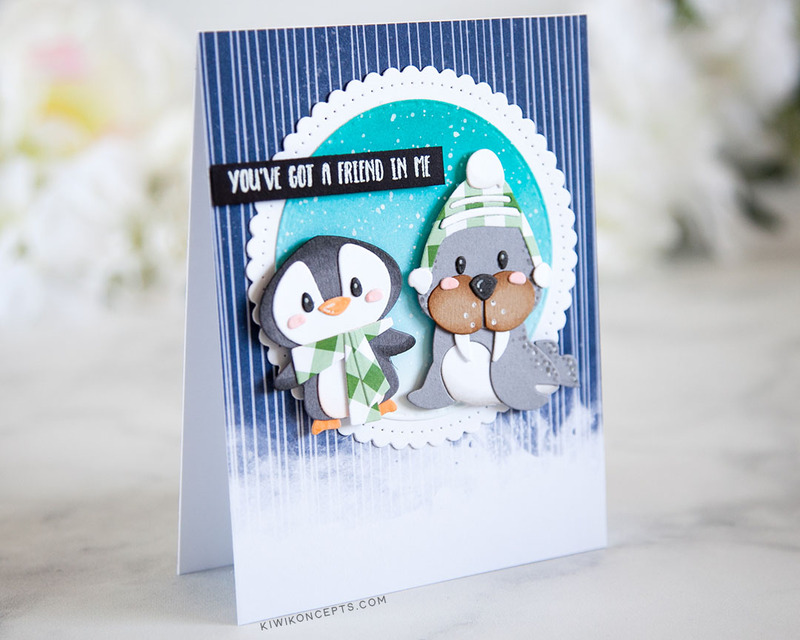 I have used the adorable Woliver (walrus) and Tux (penguin) to create a friendship card! I started by die cutting all the little pieces to these critters with the Die D-Lites. I used color card stock for the larger pieces, but for the smaller ones like the eyes, nose, cheeks, etc. I just die cut them out of white card stock and colored them in with my copic markers. For the body parts, I also added some shading to the color card stock die cuts with my markers to give a little more life. I then assembled the animals together when all the pieces are ready. 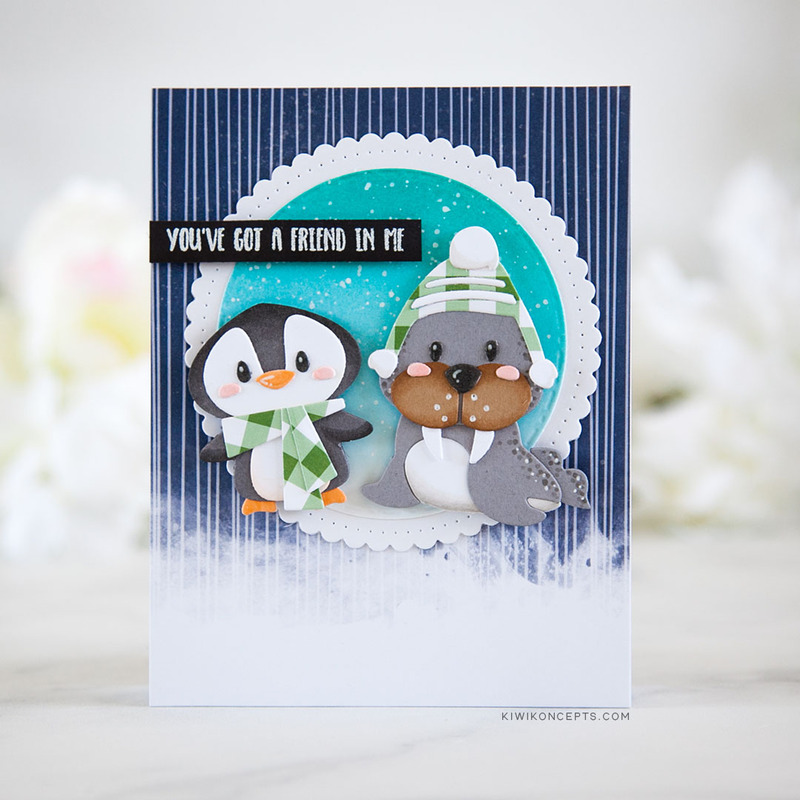 I used some pattern paper from Pinkfresh Studio Indigo Hills 2 collection for the background. Then, I die cut the two largest circles out of white card stock using the Fancy Edged Circles Nestabilities. The smaller circle was ink blended and then splattered with white paint. 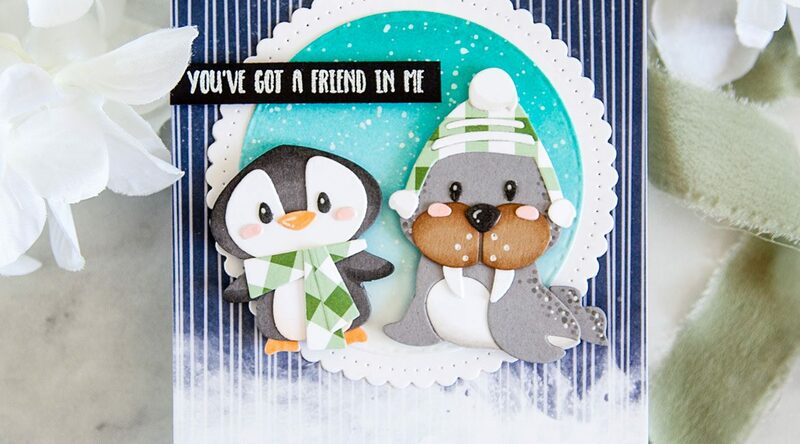 The circles were layered onto the background and the critters were added next with foam tape. 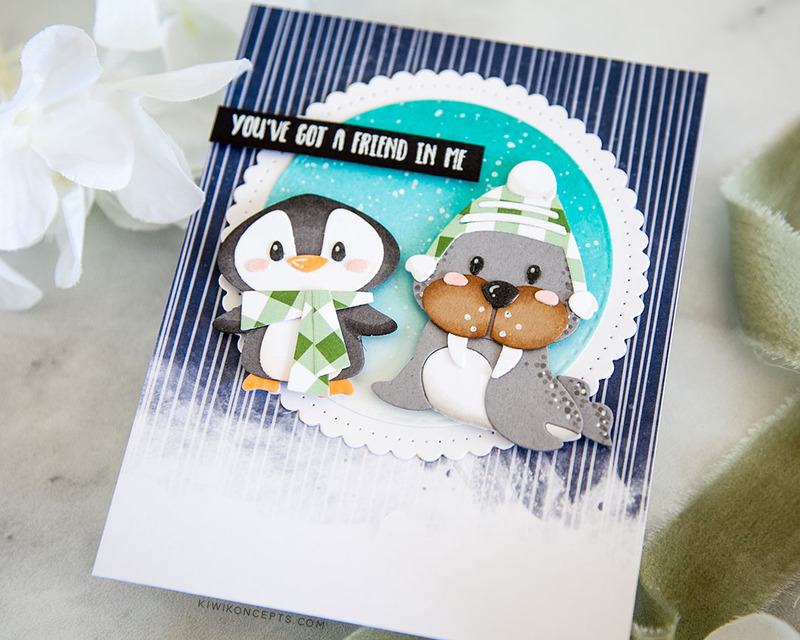 I then finished off the card with a cute sentiment from N&T Clearly Canine heat embossed in white onto black card stock, and trimmed down to a thin strip. I added it last with foam tape to complete the card.